Hello!! 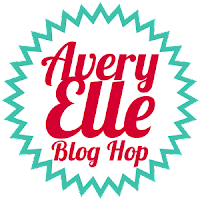 It's Avery Elle Blog Hop day and we're continuing the party that started last month with the new October/November release:) I happen to be using the new stamp and coordinating die set, Cheers! With the holiday season just around the corner (yup! ), these stamps couldn't have arrived at a better time! My mama taught me that you never arrive to a party empty handed:) But just because you have a store-bought gift, it doesn't mean you can't put your own personal touch on it. I used these stamps and dies to dress up a bottle of wine with a quickie chalkboard wine tag and matching wine glass charms! Now it's time for you to hop on over to the next stop in the blog hop! 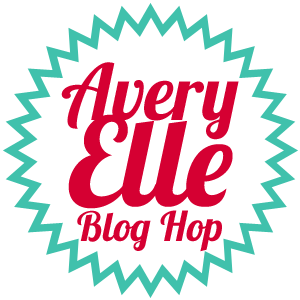 This is one of my favorite Avery Elle releases and I'm just loving what my teamies are doing:) Go check them out! And don't forget that Avery Elle is giving away a $25 Gift Certificate to one random winner! To enter to win just comment on this post. There is no purchase necessary and you must be 18 years of age or older to enter. This giveaway is void where prohibited. You can also do options 2, 3, 4, 5 or all 6 of the following to increase your chances of winning. You have until midnight Sunday, November 3rd to enter. The winner will be announced on the Avery Elle Blog on Monday, November 4th. Love your projects. Your wine charm is such a great idea. Great project, and love all the other cards on your blog as well. Glad I stopped by! Your Mama taught you well! Love the inspiration from this stamp set, JJ! Thanks for sharing the idea. This is a nice stamp set..
You are so clever, JJ! 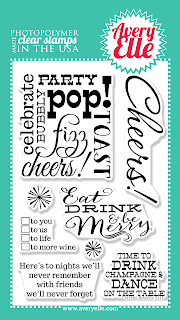 I love your chalkboard wine tag and your charms are fab!!! Lovin' those wine charms! Genius! The wine charms are a fun, clever idea! Ok, I don't own anything from Avery-Elle yet. (GASP!) But this stamp set and coordinating die is definitely about to be finding a home at my house! LOL! JJ, love the wine tag and the wine glass charms you created! TFS! LOVE the mix of fonts on that sentiment set! TFS!!! What a wonderful project you've created! The tag and charms are such a clever showcase of the new release! Fabulous! I love that die for uncork...never seen anything like that before. Fun giveaway! What a neat idea, JJ! Great projects for the New Year Holiday!! 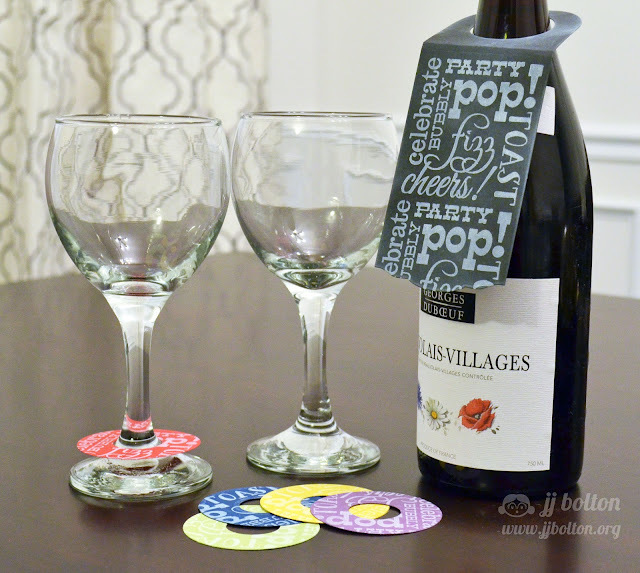 The wine glass tags are such a fun idea! Now that is one practical project, JJ! Wow what a clever way to make those tags for the glasses...wonderful projects. I'm also in your Flicker group. Great gift idea and I like the chalkboard look. JJ - Love your wine tag and the matching charms. Would make such a great gift for a wine lover! Love the wine charms - very creative!!! Great idea. The tags look great. 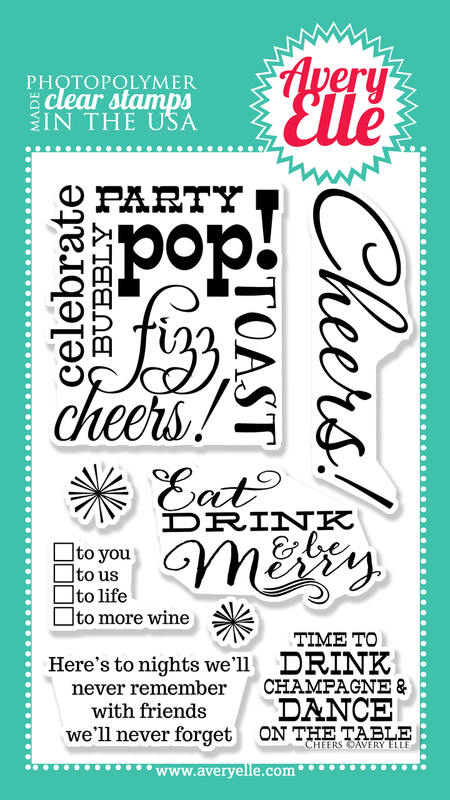 Great tag and love the wine charms...perfect for parties! Great tag and love the wine charms..
All set for New Year's! I LOVE the wine tag set! and those wine glass charms are GENIUS! Oh my gosh, this is such a fabulous idea. Great use of this set. Really like the way you tore the bottom of the bottle collar. Les nouveaux produits sont superbes ! Great idea! Quick and easy too! Great tag and those wine charms are so clever - what a great idea!! Love the chalkboard look and those wine charms look great! Great idea! 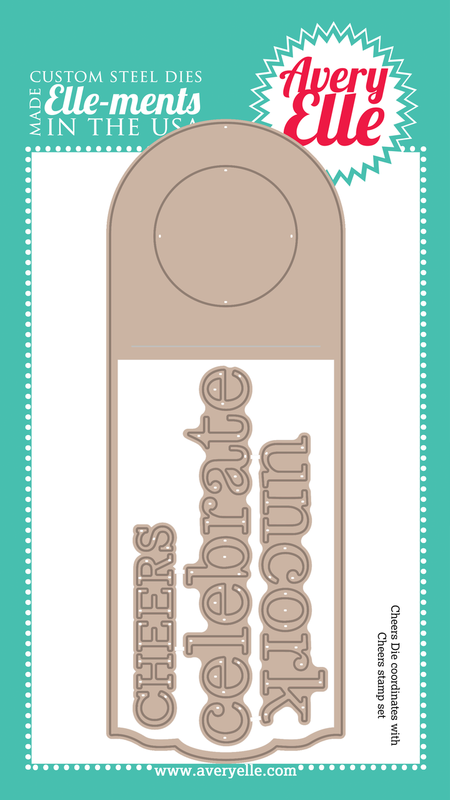 What a great way to add a personal touch to a gift. Thanks for sharing! What a great idea, JJ! Cute tag and wine charms - what a clever idea. What a cute idea to make wine charms from the sentiment! 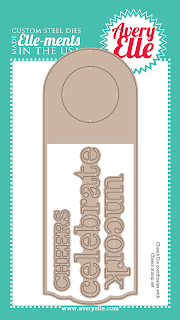 Great tag and fun wine charm idea! Love the new stamps and dies! Colorful and adaptable to other uses, too. What a fun project. I like the chalk board effect on the wine tag. Craft Room is a go!